Sean Astin at the premiere of "The Hobbit: The Desolation of Smaug" at the TCL Chinese Theatre in Hollywood, CA. 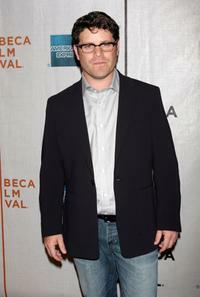 Sean Astin at the premiere of "The Final Season" at the 2007 Tribeca Film Festival. 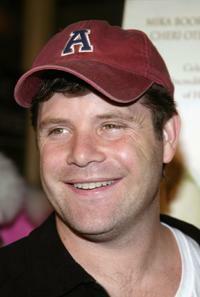 Sean Astin at the The Late Late Show with Craig Ferguson at CBSTelevision City. 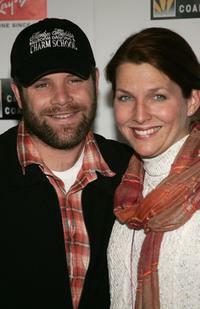 Sean Astin and wife Christine at the 2004 MTV Movie Awards. 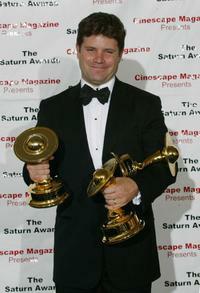 Sean Astin at the 30th Annual Saturn Awards. 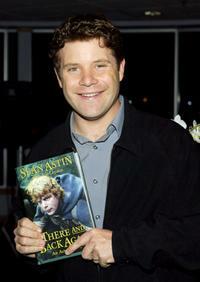 Sean Astin signs copies of his book 'There and Back Again: An Actor's Tale'. Sean Astin and Dominic Monaghan at the 2004 MTV Movie Awards. 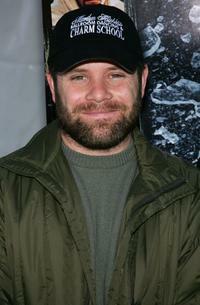 Sean Astin at the Dramatic Film premiere of "SMILE". 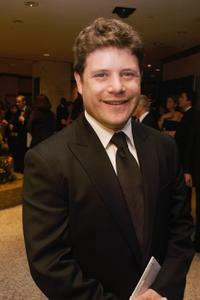 Sean Astin at the PETA's 15th Anniversary Gala and Humanitarian Awards. Sean Astin and Marisa Tomei at the 2005 Sundance Film Festival, attend the premiere for "Marilyn Hotchkiss Ballroom Dancing and Charm School". 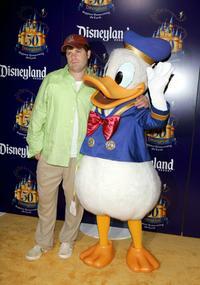 Sean Astin and Donald Duck at the Gold Carpet for the Disneyland 50th Anniversary Celebration. 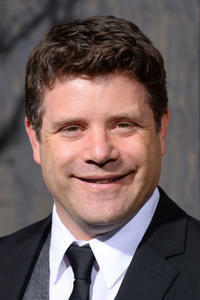 Sean Astin at the Gold Carpet for the Disneyland 50th Anniversary Celebration. 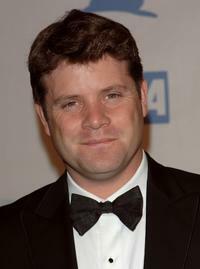 Sean Astin at the White House Correspondants Dinner. 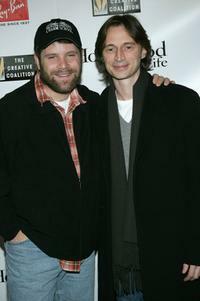 Sean Astin and Robert Carlyle at the 2005 Sundance Film Festival, attend the 2005 Ray Ban Visionary Award Hollywood Life After Party. Sean Astin and Craig Ferguson at the The Late Late Show at CBSTelevision City. 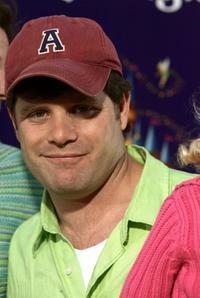 Sean Astin at the 2005 Sundance Film Festival, attends the photo call for "Marilyn Hotchkiss Ballroom Dancing and Charm School". Sean Astin and Elizabeth Pena at the 2005 Sundance Film Festival, attend the 2005 Ray Ban Visionary Award Hollywood Life After Party. 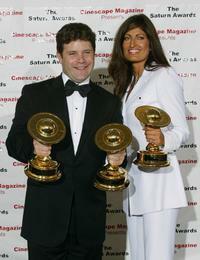 Sean Astin and Alison Heruth-Waterbury at the 30th Annual Saturn Awards. 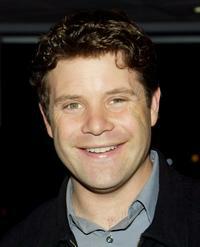 Sean Astin in "Forever Strong." 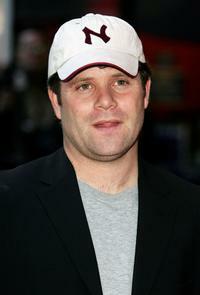 Sean Astin at the European premiere of "Kingdom of Heaven". 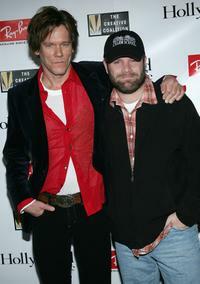 Sean Astin and Kevin Bacon at the 2005 Sundance Film Festival, attend the 2005 Ray Ban Visionary Award Hollywood Life After Party.